We can’t put an end to immigration detention without powerful storytelling. The media’s role in covering immigration detention is crucial to creating public awareness, holding governments and private prison companies accountable and bringing about systemic change. Journalists also play a critical role in shaping how we perceive and connect with people who’ve been directly affected by this inhumane system. We are eager to work with reporters who wish to cover the many facets of immigration detention and put a face to the issue. For general media inquiries, please contact Liz Martinez at lmartinez@freedomforimmigrants.org. From how to access an immigrant prison or jail to how to file a Public Records Act request, we've compiled this list of FAQs and resources to assist you in navigating this topic and system. In a piece for the Huffington Post titled "Do We Have To Abolish the Victim Narrative to Abolish Immigration Detention?," the co-founders of Freedom for Immigrants explain why we, including journalists, need to shift our depictions of immigrants who are in detention or who have been detained. We believe journalists have the power to change how we think about people, especially those who are deliberately marginalized and hidden from public view. It is important to reframe the issue of immigration detention in a way that doesn't reinforce this oppressive system and uplifts, rather than undermines, those who've been affected by it. Words matter. 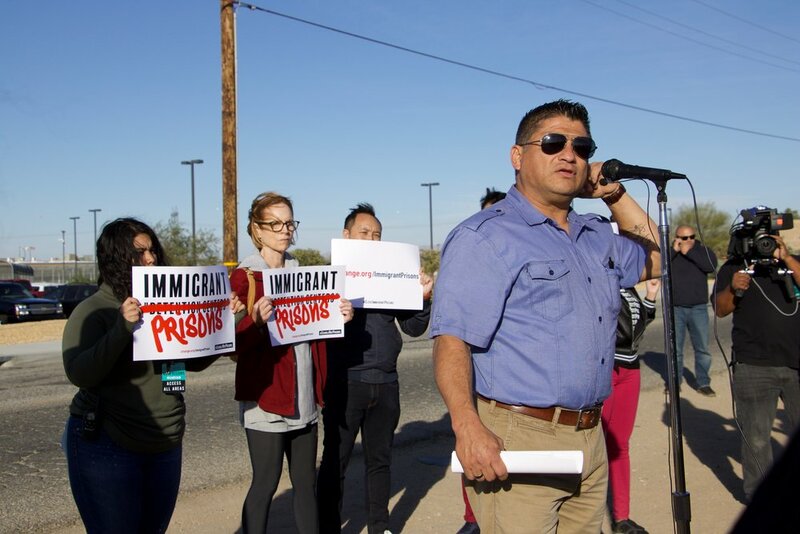 Sylvester Owino and Carlos Hidalgo, who were both in detention and are now immigrant rights rights activists, started a campaign to call these facilities "immigrant prisons and jails." Here's a glossary of terms we compiled to help demystify the nuances of terms in the immigration space. We also stress the importance of developing more opportunities for solutions journalism. In 2017 we released our first Immigration Detention in the Media report, which found that reporting on the issue has increased but immigrant voices were largely silenced. Of the top 8 newspapers in the United States, there were only 845 articles that focused primarily on immigration detention between 2009 and 2016. We hope more journalists begin to examine this largely unseen corner of society. Click here to check out our latest press releases. Here are a few photos you can use when covering Freedom for Immigrants.